Giraffes are the tallest land animal in the world. With a world population that is under 100,000, many conservationists say they are endangered. Giraffes are mammals and are only naturally found in Africa. Giraffe babies, or calves, are some of the biggest newborns on record, but it's not just their size that sets them apart from other animals. Mama giraffes give birth to live babies after 14 months of gestation. When a baby giraffe is born, it drops up to 6 feet to the ground and lands on its head. The fall does not hurt the baby giraffe at all, but makes it take a deep, first breath. After an hour or so, the baby can walk on her own. When baby giraffes are born, the animals average 6 feet tall and can weigh anywhere from 100 to 150 lbs. Baby giraffes are considered fully mature, or adults, around the time they turn 4 years old. Male giraffes will grow up to 18 feet tall and can weigh up to 3,000 lbs. and female giraffes can be up to 14 feet tall and weigh 1,500 lbs. when fully grown. Baby giraffes will gain most of that height and weight in the first three years of life. Baby giraffes begin eating within the first hour of life. 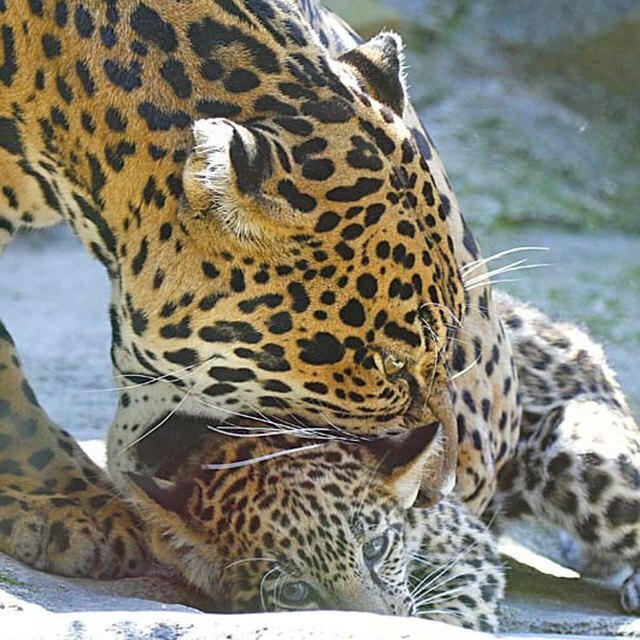 For the first four to six months, the babies drink milk from their mother. After that time, the babies begin eating leaves. If the babies cannot reach trees with available leaves, mothers will pull leaves off and feed them to the babies. Giraffes can eat up to 75 lbs. of food per day and spend as much as 18 hours per day consuming leaves. Baby giraffes are cared for primarily by the mother, who normally gives birth to a single calf. So the mother giraffe usually has only one baby to take care of at a time. The mother feeds the baby, cleans the baby and teaches the baby how to fend for itself. If a mother giraffe leaves for any reason, baby giraffes will wait in the same location until she returns. Female giraffes do, at times, create an animal daycare of sorts where one female will watch all the baby giraffes while the other females tend to other matters. Farber, Jamie. "Facts About Baby Giraffes." Sciencing, https://sciencing.com/baby-giraffes-8632947.html. 13 March 2018.